The Bubble Maker wasn't the only interesting person I met while shooting street photography in Vörösmarty tér, in Budapest. This saxophonist entertained the crowd by playing classics from all different artists and genres, including Louis Armstrong, The Beatles, Village People and more. 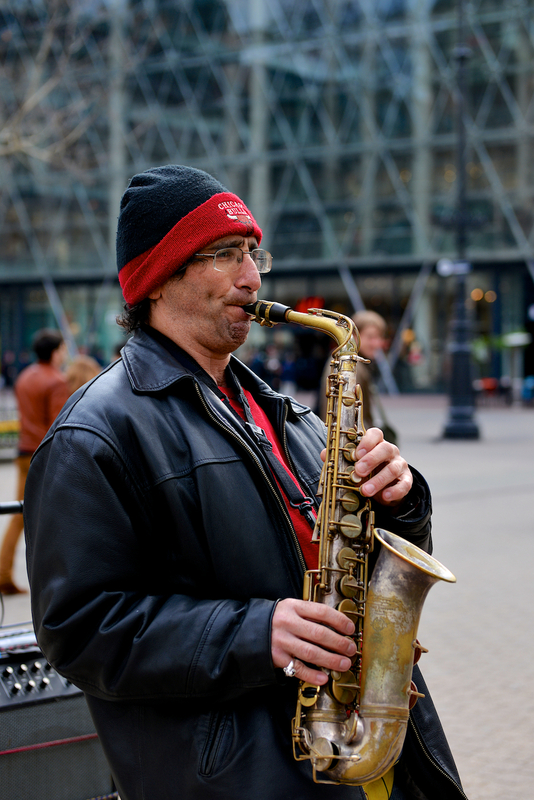 Edit: This post's original title was "The Saxophone Player".